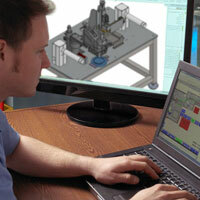 Today, Universal’s broad range of automation related in-house services include: Engineering and Consulting, System and Line Integration, Automation, Robotics, Rebuilds and Upgrades, Custom Designs, and Controls for the Pharmaceutical, Food and Beverage, Consumer Product, Biotech and Industrial Markets throughout North America, Europe and Asia. 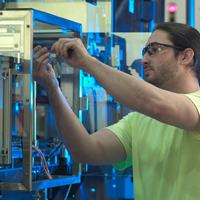 The wide array of expert services that Universal Machine offers is made possible by our experienced team of engineers, assembly technicians, fabricators, machinists and electricians who work side-by-side under one roof. Our team of dedicated professionals enable Universal to deliver the most economical, efficient, and best-of-class systems to our customers. If you demand, best-of-class systems that meet or exceed your economic and efficiency expectations, it’s time to CONTACT the experts at Universal Machine and Engineering Corporation.